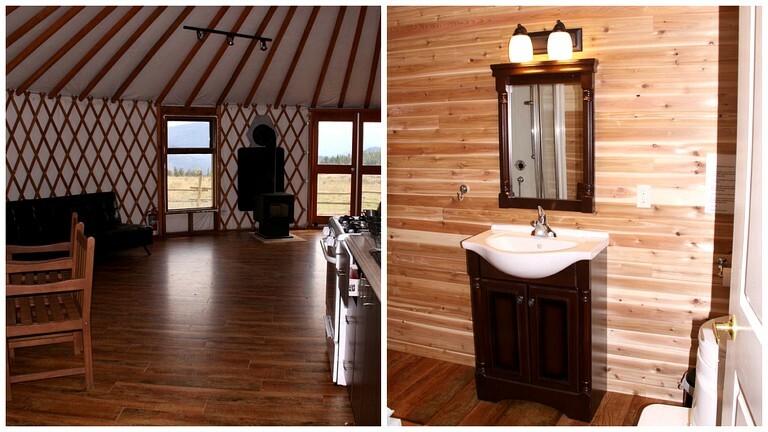 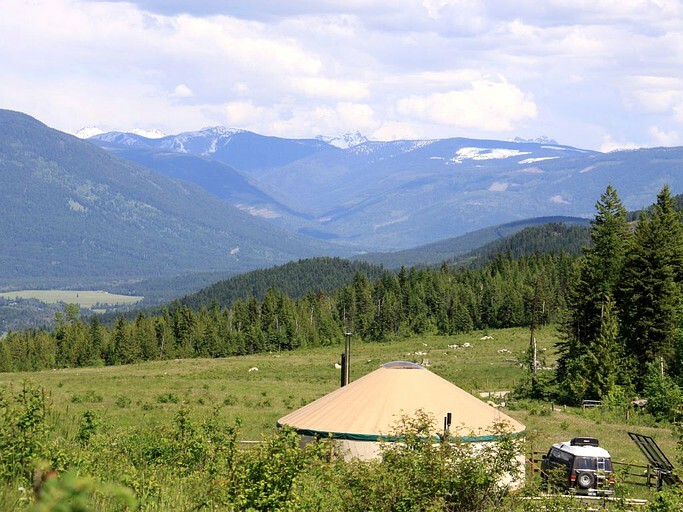 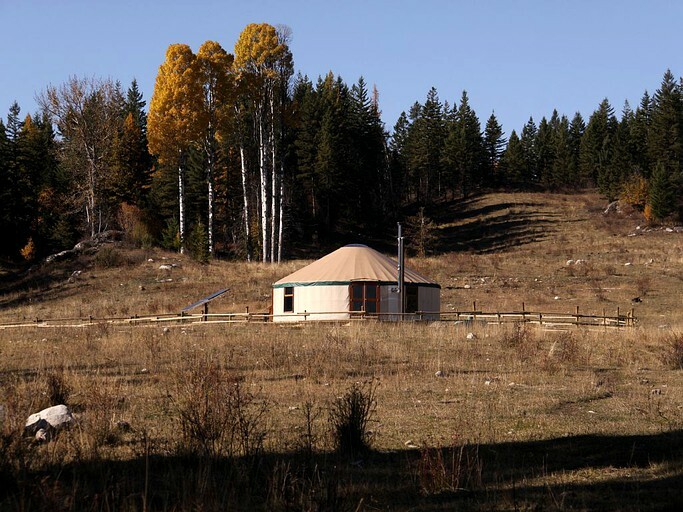 This unique yurt camping accommodation in British Columbia offer lots of privacy—and a spectacular view! 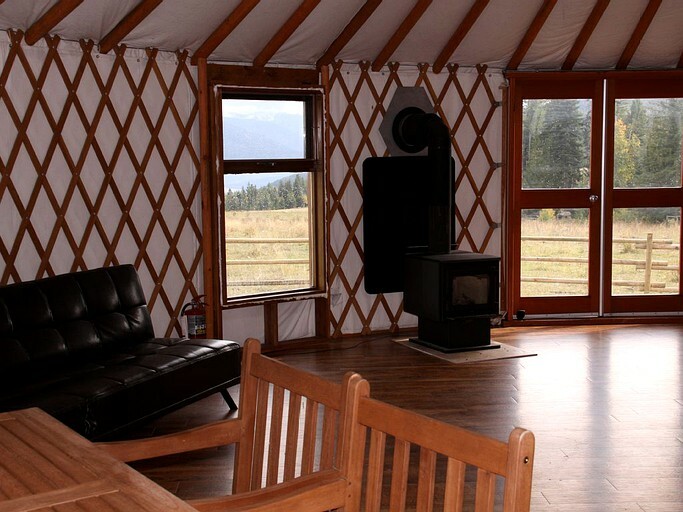 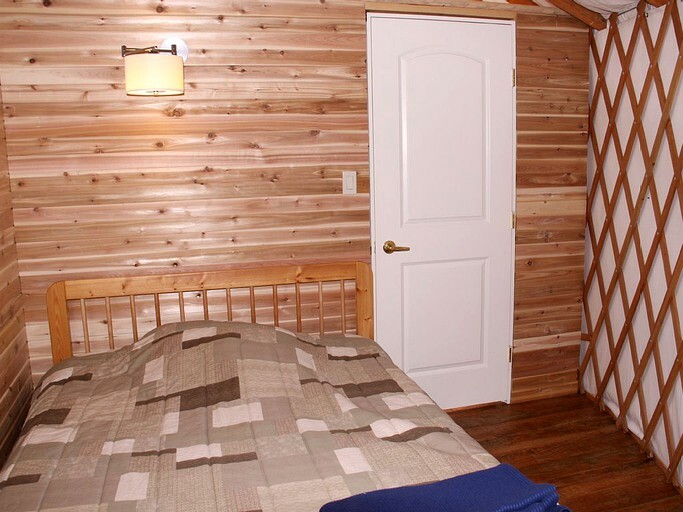 Accommodating four guests, it is 32 feet in diameter with log rafters and a six-foot glass dome in the 14-foot high center, it is truly an experience to live close to nature, but with all the amenities! 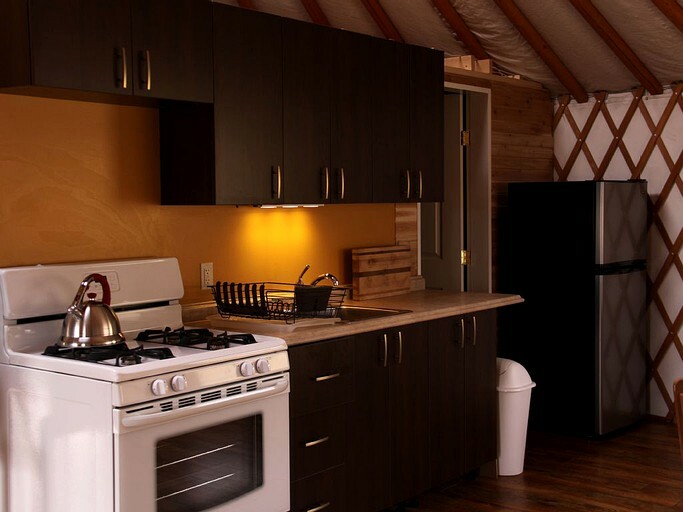 Other activities include skiing and cross country skiing, snowshoeing, canoeing, hiking, swimming, fishing, golfing, horseback riding, and mountain biking.